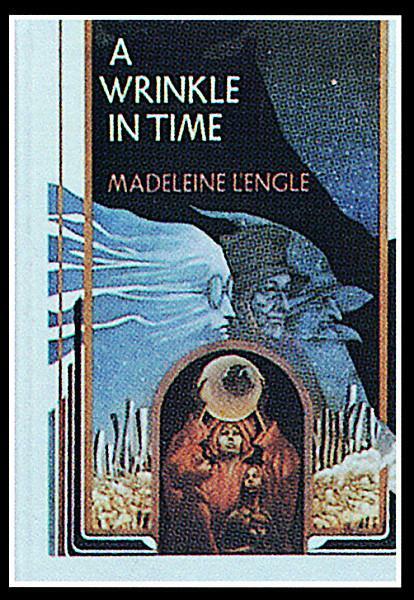 Madeleine L’Engle’s, A Wrinkle in Time may not be so readily chosen by appearance to be read by a tween (middle-grade reader) and may be less known or less popular due to the fact that it is a classic novel. Still, this book will not fail to appeal to tweens (ages 8-12). The book should easily appeal to both boys and girls alike (as a combination of both genders are used for main characters), and the content themes are common to the tween age group. The book heavily focuses around family and friendship, has characters from middle and high school grades (appealing to tweens on either end of the age range), and embraces social topics as attraction, trusting adults for protection (family and strangers), discovering individual strengths, and even some minor elements of realistic fiction (bullying and broken homes). All of these strongly support tween developmental assets, especially emphasizing assets in the categories of support, boundaries and expectations, and positive values. A Wrinkle in Time equally blends narration and dialogue and is easy enough to follow along with especially since the character speaking is usually announced and the language is fitting to the age of the character except in the case of the youngest character with above average abilities. The book has no in-text illustrations, or alternate formatting as more common to modern literature. The ending of the story may seem rushed or a bit abrupt, but this cliffhanging ending is a sure bet that most tween readers will quickly want to get their hands on the second novel in The Time Quintet Series. The cover art of the most recent 50th anniversary edition (ISBN: 978-0-374-38616-0) has a similar design to the pre-film adaptation cover art for the book I Am Number Four by Pittacus Lore (YA book that tweens may want to read due to popularity or a higher reading level, and it is listed by YALSA as a 2012 Quick Pick for reluctant adult readers). The 1999 publication (ISBN: 978-0-374-38613-9) has a cover art that may be more appealing to tweens. The faces are visible and display all main characters minus one, and both adults and children are found on the cover. The facial features of the children are more rounded and soft unlike the adults that are more angular and aged looking. Also, tweens will appreciate as they read the novel to find identifying accessories belonging to main characters not absent from the cover art. Two other cover art designs were used in 2007 (both are out of print). Both had a more cartoon, childlike design, and of those two, the one with more color and detail in design will be used for the upcoming release of A Wrinkle in Time Trilogy (ISBN: 978-1-25000-343-0) containing the first three books of The Time Quintet series. For tweens, the upcoming release of A Wrinkle in Time: The Graphic Novel (ISBN: 978-0-374-38615-3) may interest additional tweens to read the original work after the graphic novel. Graphic novels are highly popular with tweens whether a preferred genre or a reluctant reader. The immense amount of descriptive language used in the original novel will hopefully prove this alternate formatted version of this timeless tale as an excellent visual companion. The cover art is incredible, just beautiful. Thanks for the review, brings me back in time and I feel like I’ve just read the story all over again. Rise of the Guardians in theaters November 2012 – I believe, do you?